The black folk on "Desperate Housewives" did not work out while the black folk on "Grey's Anatomy" are thriving. What is the difference? We believe no blacks had input at "Desperate Housewives" and "Grey's Anatomy" is produced by a black woman, Shonda Rhimes. Does this mean whites cannot write black parts or create real black characters? Probably not. But it probably depends on which whites are writing and creating. Just as Shonda Rhimes writes very well for the white characters in "Grey's," whites familiar with the black experience can easily write for blacks and create realistic black characters. However, blacks are more familiar with white culture than whites are with black culture. Whites just do not like crossing the tracks too much. And we have to go to work. It is too bad that Alfre Woodard was miscast in "Desperate" and her family was not believeably woven into the structure of the show. 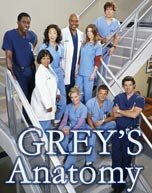 The black doctors in "Grey's" are perfectly cast and developed. You rarely if ever have seen a black/Asian hookup on primetime TV. We're talking good character development, plot, romance and hot love scenes. So listen up Hollywood. Be careful who you put on the black tip. We do not need the cup tipping over too often as was the case in "Desperate."